SiteGround is an extremely popular web hosting company which provides different types of hosting with different plans. These web hosting companies are providing their services for a long time. People who deal with SiteGround are always satisfied. it comes with a lot of hosting tools, they are now one of the best web hosting companies. Cheap price of hosting has made them more desirable. For any personal plan or for small businesses industrialists can deal with SiteGround hosting plans. This hosting company gives different kinds of facilities and unique securities for your data and others. Comparing the price and facilities this web hosting is good for anyone. I will show you every nuts and bolt about SideGround in this post. SiteGround was founded in 2004. This awesome web hosting company has data centers in 4 different countries. United States, Netherlands, Singapore, and UK are those countries. SiteGround also works with open source communities. Joomla, WordPress, Magento etc are some of them. SiteGround also started working on a side-project named Kyup. This web host company has multiple partners such as OpenSRS, cPanel, GlobalSign, Softaculous, 1H, Spam Experts and others. They are serving more than 1 million domains worldwide. Uptime speed: SiteGround is ensuring 99.9% uptime averaged over a year. They are continuously working about this fact to keep more improvement. They are experimenting with various configurations and upgrading Server architecture. They have also keep an eye on their hardware performance. With the help of their custom server monitoring software, they have decreased downtime. Mainly they monitor the performance and status of every server in real-time. If they find the uptime speed decreased then they provide a credit to the account. If the downtime is extremely increased then credit added to the server automatically otherwise you can inform them and they instantly take initiatives. Free domain name: Most of the web hosting companies requires an extra fee for a domain name. But SiteGround is providing domain name free with their shared hosting. Certainty, this is a great advantage of this popular web hosting company. One click installation: Everyone expects a one-click installation feature as it is really easy and time-saving. CMS and Softaculous and other popular software provide a quick setup. Easy cPanel: SiteGround cPanel is really awesome and easy to use. Most of the functions are icon included. You don’t need to be professional to manage their cPanel. Considering people with different businesses and different budget they have included mainly 6 types of web hostings. They are ensuring 99.9% uptime and cPanel. The thing must make you happy that they are proving free domain. Now I will discuss their hosting and hosting plans. It is really easy to set-up the site. You just need 3 clicks to set up and it is really fast. Besides you will all the guide. For creating the website your drag and drop page builder is enough. You can instantly create the website with SiteGround. Without facing problems you can migrate your site. 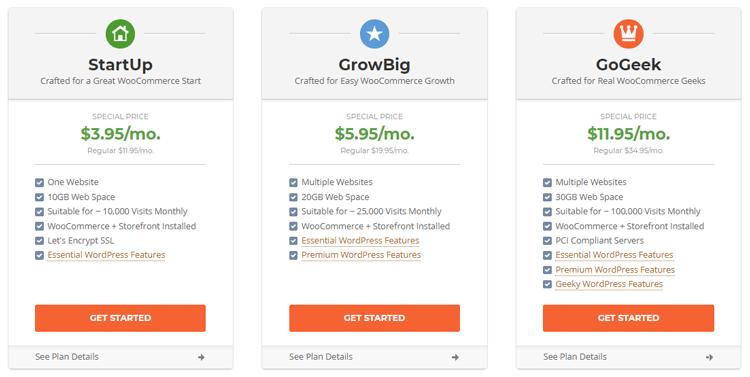 Note that its free for GrowBig and GoGeek plan only. StartUp plan: This plan is the cheapest plan and you can start with $3.95. The regular price is $11.95 per month. 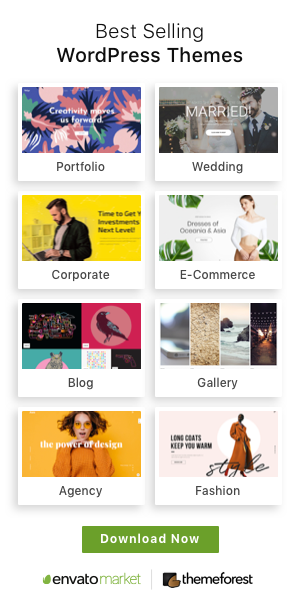 You will get one website from SideGround. Web space is 10 GB and that is quite enough with a cheap plan. You will also get 1 copy of free backup regularly. 10000 visitors per month advantage are also given. You will get some extra facilities such as web page builder, good support, unmetered traffic, and others. GoGeek plan: GoGeek is an expensive plan that you can start at $11.95 and the regular price is $34.95. This plan makes your site suitable for 100000 visitors per month. You will get multiple websites. Happy to know web space, it is 30 GB. You will get all the essential and premium features. There you will also get some Geeky advanced feature with this plan. Cloud hosting allows one to monitor and allocate the external resources with the main server. SiteGround has different plans for this hosting. If you are maintaining a small project or you are about to maintain a high traffic enterprise site you will find all kinds of plans. Before knowing about the plan know the features and advantages they are providing with cloud hosting. Cloud hosting is based on innovative technology so it is ultra fast and autoscale. Another important thing is you can customize your plan and if you face any problem there is 24/7 support is ready. For unmatched resource efficiency and site speed, they are using Linux containers with SSD disks. They are keeping 7 offsite backup from 7 sequent days for the safety of your data. Free CDN and multiple location advantages are also available. Besides, other some features you will find as well according to your plan. They have 4 cloud plans for 4 categories of the site. Entry: You will need $80 per month for this plan. You will have the CPU of 2 cores and memory of 4 GB. SSD space is 40 GB which is great at this price. Another thing is you will get 5 TB data transfer advantage. Business: The plan costs $120 per month. There are good advantages of this plan. They are providing CPU of 3 cores and the memory is 6 GB here. SSD storage is 60 GB in this plan. And the advantage of 5 TB data transfer is also included. Business Plus: Business plus plan requires $160 per month. They have included 4 cores CPU in this plan. The memory of 8 GB is also included. 80 GB of SSD is going to make you happy and 5 TB data transfer advantage is also included in the plan. Super Power: This is the most expensive plan of cloud hosting. It requires $240 per months and provides huge facilities as well. You will have the CPU of 8 cored and the memory of 10 GB. They are providing 120 GB SSD along with 5 TB data transfer advantage. 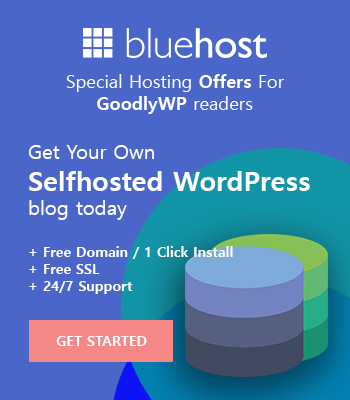 For creating an E-commerce site using WordPress, WooCommerce hosting is essential and SiteGround is proving awesome WooCommerce hosting with different plans. They have included some features and advantages for their customers. Everyone feels annoyed to install necessary software with searching and killing necessary time. SiteGround have pre-installed all the necessary software you need. The pre-installed WooCommerce and storefront theme is the reason people are found of SiteGround WooCommerce hosting. Another advantageous thing is you will get a regular update and daily backup. Free SSL certificated is also provided and for your any problem you can contact the SiteGround authority. They are proving all SSD server so your site will be fast always. Besides, NGINX, HTTP/2, PHP 7 and free CDN are also provided for taking care of speed. The customer cache is based on the custom cache based on Nginx and Memcached and that has made the hosting a better one. They have 3 WooCommerce hosting plans. Startup: You can create one website with this plan. Provided web space is 10 GB. It is suitable for 10000 visitors monthly. Fre installed WooComerce and storefront has made it more popular. Important WordPress features such as auto updater, regular backup, 24/7 support, cPanel, SSH and others are also provided. You can start this plan at $3.95 first month and the regular monthly price is $11.95. 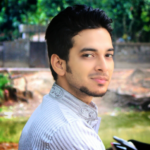 GrowBig: This plan is a really a profitable one with reasonable price. Starting month costs $5.95 and after that monthly $19.95 is required. You can create multiple websites with this plan. They are proving woocommerce and storefront feature for free. You will also get 20 GB of web space. It is suitable for 25000 visitors per month. Some essential WordPress features and some premium WordPress features are also included with the theme. GoGeek: GoGeek is the most expensive one of this hosting. You have to pay $34.95 per month but starting month price is $11.95. 30 GB web space is provided by this plan. You can create multiple websites as well. It is suitable for 100000 customers monthly. PCI compliant servers, install woocommerce and storefront advantages are also given. You will get some necessary, some premium and some Geeky WordPress features with this plan. This hosting designed for the web designers and web developers. You can join this web hosting by ordering credits. Credit price depends on the number of credit you order. If you order 11+ credits then per credit you have to pay $42 per year. If you order 5-10 credits then you have to pay $45 per credit per tear. And if you order 1-4 credits then you have to pay $49 per credit per year. Now come to the hosting account features. You will get 10 GB of web space. You can also get free email account and free Cloudflare CDN. They have 4 server location. Unmetered data transfer advantage is also included. Unlimited MySQL databases and unlimited FTP accounts are included. Daily backup will be provided to keep your data safe. Suitable for 100000 visitors monthly. An easy cPanel is also there and you can customize there easily. There is no ready-made plan for enterprise hosting. SiteGround ready am enterprise hosting according to the need of the clients. You can consult with the authority with your needs and they can build a perfect one for you. Their enterprise hosting is based on Linux Containers and scalability is great. The customers can manage the system easily. Whether you need a personal or public cloud configuration, you can discuss with them. They discuss with the clients until the get clear every factor. A great customer care is taken by SiteGround. we know dedicated hosting is a physical server dedicated only to your website. You will get top hardware services from SiteGround dedicated hosting. SiteeGround gives free update on software and server is pre-ready by SiteGround. You can add performance booster for $50 per month. You can get control over your WordPress with SSH and WP-CLI they are providing. They have 3 plans for dedicated hosting. Entry server: Entry server requires $269 per months. They are providing Intel Xeon E3-1230 SSD. CPU clock speed is 3.20 Ghz and 4 CPU cores are included. 8 CPU threads and 8 MB CPU cache. 16 GB DDR3 RAM is provided as well. 480 GB SD is provided and 10 TB bandwidth advantage. Power server: This plan costs $349 per month. In this plan Intel Xeon E3-1270 SSD is provided. 4 core CPU with 3.50 Ghz clock speed. There are 8 CPU threads and 8 MB CPU cache. There is huge 32 GB DDR3 RAM. SSD of 960 GB and 10 TB bandwidth advantage. 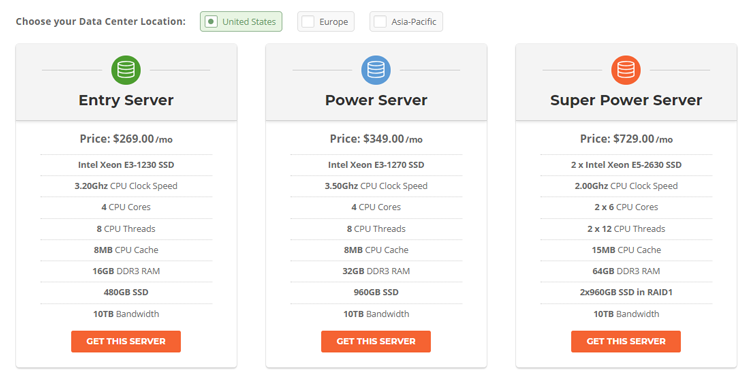 Super power server: Most expensive plan with super powerful features. Every month you have to pay $729. 2 x Intel Xeon E5-2630 SSD is used. They are providing 2 × 6 core CPU with 2.0 CPU clock speed. There are 2 × 12 CPU threads with 15 MB CPU cache. 64 GB DDR3 RAM is also included and 2x960GB SSD in RAID1. Badwidth advantage of 10 TB. The main thing above everything is a great attractive website one can create by using SiteGround. And the second thing is people don’t have to pay too much time or industriousness to create such website. At present website is a big medium of running and promoting any kinds of business. Businesses with different sections and industries are now online based and want to make a cool website that reviews and show their services in best ways. So the most helpful thing is web hosting for them. And I am recommending SiteGround for this. There must be some reasons. They are proudly producing their services over decades. You will get the latest and the best technology using their hosting. A very fast server will also be granted and security system is better beyond doubt. Their customer services are great and most of the required thing you will find with your plan. Amazing web hosting tools you will find an easy cPanel will be helpful for anyone. Keeping an eye on the budget they have different kinds of plans for the customers. So, personal blogger to big industrialist everyone will find their desirable plan and hosting. Comparing the price and providing plan elements I must say the price is reasonable. When questions come about security and backup then SiteGround is the best choice for you. All the network, server, and data center are highly protected by their security features. Their data center is specially protected by human security 24/7. Besides, access control, mantraps, biometrics, bulletproof lobbies, and constant video surveillance and other initiatives are taken to keep everything secure. There is a unique isolation mechanism that keeps every shared dedicated and other servers secure. Due to continuous monitoring of any hacking attempts and other threads can be identified instantly. Besides they keep those softwares up to date. There are also some addons and key security feature. There is a premium feature HackAlert monitoring which notifies you instantly if your site is under hacking attempt. You have to pay $1 for this security feature. There are also some other essential features such as hotlink protection, IP address block lists, and anti-spam tools, SpamExperts, SpamAssassin etc. which are also really helpful for the safety of everything about hosting. One important thing is though SiteGround supplies and protecting your server, you need to be sincere as well about any unknown sources or other spams. There are some instructions they are providing which should be maintained strictly by the customers. Every necessary instructions and instruction about the facts you should keep away are also included with their instruction list. And for you any problem their helping team is always ready. Now come to the topic of backup. Most of the web hosting sites do not allow manual backup. SiteGround allows you to create your own backup manually. Besides up to 30 backup is stored at any one time by them. So using the cPanel you can restore your site easily by yourself. It is really a unique and appreciating backup policy which is rare. You never know when you face a problem and for that you editing get stuck. For a blogger or webmaster, it is a big issue. Everyone expects a quick and effective response from their web hosting company and it is big fact that influence a customer to select a web hosting. Customer service is the area where SiteGround dominating. Their customer care team are talented and easily handle the problems of the customers. They are using load balancer which spreads the enquirers instantly to the available operator. So you don’t have to wait for a long time to get the response of the hosting operator but with most of the hosting, you have to wait for a long time to get a proper response. Special Magento is also providing for the customers with the package for free. Happy to know that their support is available 365 days and 24 hours in a year via ticket counter or live chat or telephone call. With any problem of the customer, they view the profile and monitor all the system and deal with all the technological issues. According to the customers, they are very happy with their supporting team. SiteGround monitors all the servers very carefully with great security measures. So for any mismatch, they provide good service and it is reliable. The page loading time of Site ground is great. Average page loading times of 716ms, faster than the 890ms average load times. So I can say this is one of the quickest. They are proving 30 days money back guarantee which has made them trustworthy. SiteGround has pre-installed different E-commerce app and managed many of them to make them user-friendly. Some application like Magento can be difficult for beginners but SiteGround removes lots of hassles and makes it easy for the clients. They are providing SSD storage in all the hosting plans including shared hosting. It is rare to be seemed and made faster. Their security system is awesome. Besides, regular backup is also provided. They ensure your data safety. Customer support of SiteGround is undoubtedly great. SiteGround is the place where customers are always happy. SiteGround does not offer unlimited storage on the hosting plans. If you compare the hosting plans’ price with other popular web hosting companies then you will find SiteGround a little costlier. Please Note This: All of the above pricing table images are taken directly from the SiteGround Website. The price can be different in their discount period. One thing about SiteGround is there are lots of advantages with their plans you will never find on other web hosting companies this much. Their extremely useful features have made them more popular. They worked so much to ensure super quick speed to the customers. It is true that they are not giving unlimited storage but it is more expensive to provide SSD storage that they are providing. They have also different kinds of plan for different types of people. And their enterprise hosting discussing plan is unique. Considering all the facts about SiteGround I can say if you want a reliable, classy, splendid web hosting then SiteGround is the name that comes first in my mind.